The Proposal: We went to Philadelphia for the weekend. While wandering the streets of Society Hill, John found a quiet bench. We sat down and he proposed. It was not a surprise; we picked out the ring together and planned the majority of the trip together. The surprise was the exact timing and of course the lovely words he said while proposing! We celebrated with an amazing 7 course dinner at The Four Seasons in Philadelphia. 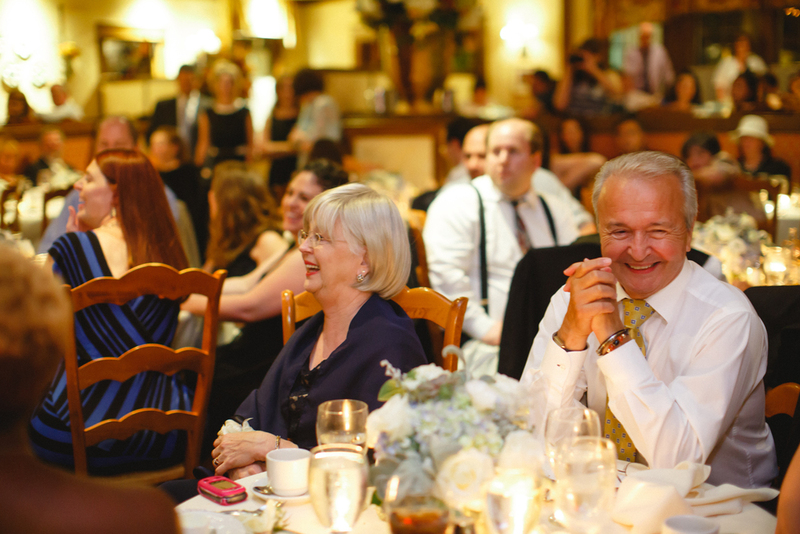 Lauren and John got married at the gorgeous La Ferme Restaurant in Chevy Chase Maryland. The weather was perfect, not too hot, not too cold, and just beautiful. These two are really welcoming and the kind of people you feel like you have known forever. They are the kind of couple who welcome anyone into their homes and have dinner with. Lauren was absolutely gorgeous on her wedding day and she has such a kind spirit about her that I loved so much. John is such a good soul and perfect gentleman you would think someone handpicked them because they are perfect for each other. They wanted their day to be intimate and celebrate with their close friends and family. Lauren wanted to make everything very personal to her so she made all the cookies for the favors herself and trust me they were delicious! La Ferme if you have not been there I highly recommend their restaurant. The staff and food are divine! They went far and beyond for every guest including their vendors. I was so honored to be a part of their day and hope to be a part of their new journey together.